The mission of The Barstow School is to promote sound scholarship and to give symmetrical development to mind, body and character. The integration of technology is one manifestation of this mission. 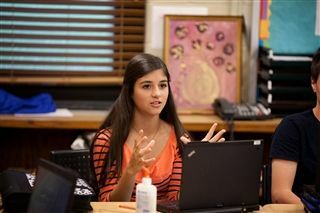 At The Barstow School technological innovations create transformational learning. We weave technology throughout every grade level and subject area at Barstow. But even more than that, we structure the experience of students and faculty to remain on the cutting edge of preparing our learners for the demands of school and work in the 21st century. The hammer and saw don’t build the chair, the master carpenter does. The same is true for technology. An iPad or laptop doesn’t teach a child, but these tools, in the hands and minds of master teachers and bright curious learners can transform the learning experience. Barstow’s technology program is anything but linear. It grows organically, as knowledge does. It branches out in directions we sometime don’t anticipate, but always in ways that build the knowledge and skills of students to safely use technology in their own learning. In every division, students learn how to use technology appropriately, research new knowledge, and define problems and create solutions using a variety of technology tools—some teacher-facilitated, others student-discovered. Coupling this with a focus on virtual organizational tools helps students become autonomous learners.